Did you know that the recycling rate in Colorado is only 11% compared to 34% in the rest of the country? Recycling is one of the easiest, lowest-effort ways to reduce our environmental impact on a daily basis. The CDPS Green Team has identified recycling as "low hanging fruit" that we can immediately address as a way to help reduce our collective environmental impact and achieve the goals outlined in Greening State Government Executive Order. Here are ways you can help. Start participating today! It only takes a few seconds and a little bit of knowledge to put recyclable materials in the right bin when you're in break rooms or copy rooms. Check out these helpful visual guides to help you know what generally can be recycled and where it can go. Send us Information! Each CDPS office location may vary based on local contracts with custodial and waste management services. The CDPS Green Team has compiled tips for the Kipling Complex and is gathering information for other work sites in order to provide a comprehensive guide to employees and implement best practices. If your site recycles, please help us out by emailing us information about the recycling services available at your site! Aluminum foil or pizza boxes soiled by oil or food. If Your Location Doesn't Recycle...Start Today! Consider starting a recycling program if your location doesn't currently recycle. 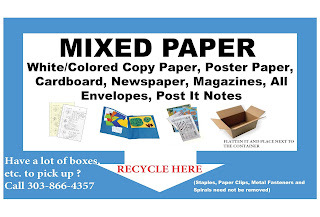 Check out this site for a list of Colorado recycling resources. 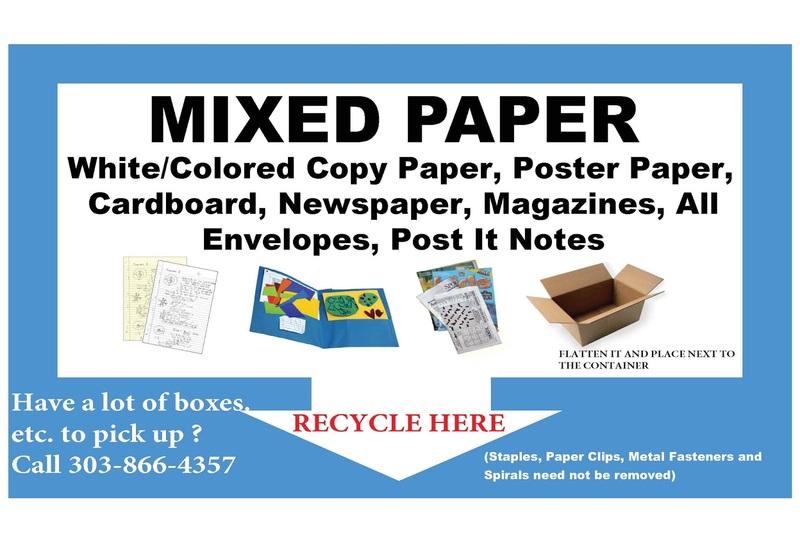 Find instructions from Xerox on how to recycle toner and other green printing/copying tips. If you use a different printing vendor, contact your vendor for assistance. CDPS participates in the national Call2Recycle program. Consider starting a program at your location today by signing up here or contact your CDPS Green Team for assistance. Are you passionate about the environment, sustainability, or reducing waste? The CDPS Green Team is looking for leaders to represent locations around the state. We are seeking team members from outside the Denver-metro area. Contact Anastasiya Schomaker to find out more and sign up.